Today I am sharing with you some of my very favorite books from childhood. These are the books that started the love affair I have had with books, libraries and story time ever since. Please feel free to add to the post by leaving a comment with a favorite title from your childhood. ” The Duchess Bakes A Cake” by Virginia Kahl. I had to search this book out, I had forgotten the title and author all I remembered was that there was a child named Gunhilde! Thank goodness for Google! The story is very sweet with the Duchess giving her staff the day off because she wants to bake a cake for her family. Unfortunately things go awry and the cake ends up huge with the Duchess stuck on top of it high in the air! Luckily the duchess finds a solution and things are fixed in the end. 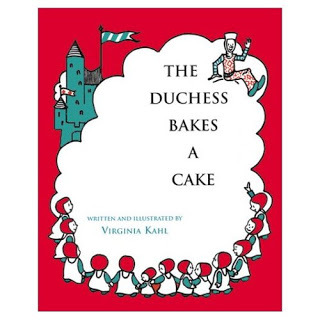 I loved two things about this book as a child, the idea of everyone eating a giant cake to save the Duchess and that the Duchess was taller then the Duke, I remember thinking that was funny and I didn’t know that a wife could be taller than her husband. That’s the beauty of books, even picture books open children up to new experiences. 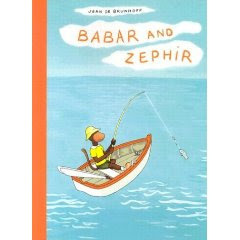 ” Babar and Zephir” by Jean De Brunhoff was my favorite of all the Babar books, most of which I have tracked down and bought on ebay. What I loved about this book was we got to see where Zephir came from, and go see the fantastic world hanging houses in Monkeyville. Babar books are always interesting to re read as an adult and this one is no exception. 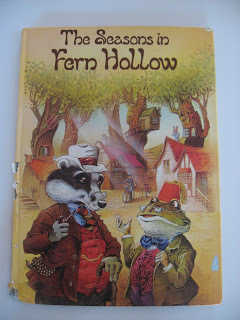 ” The Seasons of Fern Hollow” by John Patience. This book is a cute look at the world of Fern Hollow where there is a large cast of animal characters who live in a small idyllic English village. 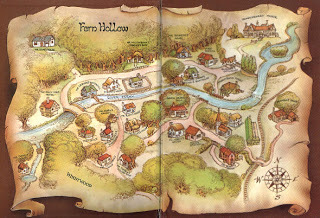 The book itself is sweet, going through village life one season at a time but my favorite thing about this book and the others by the same author was this map of the village. I would lay in bed staring at the map, trying to find different ways to get from one character’s house to another. This book inspired my imagination. This is a great post. I was always the one with a huge stack of picture books, and while my sister desperately wanted me to come and play with her, all I wanted to do was curl up in a corner and read! Charlotte and Charles (found it on ebay just now): about two giants who live on an island, one wants visitors, the other doesn’t because he worries people will make fun of them. Really great story about people being different. Loved the illustrations. 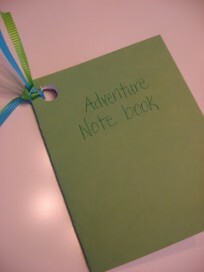 Any of the Little Mr. or Little Miss books. 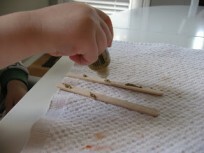 The Very Hungry Caterpillar–I loved the holes in the pages. My daughter loves them too! I also loved the Little Miss/Mr. books too…. Some of my favorites were (and still are) The Story of Ping and Tikki Tikki Tembo. I also loved the Mercer Mayer books and when I got a little older I read a lot of Nancy Drew! I almost did The Very Hungry Caterpillar, Mercer Mayer is still a favorite at my house too, as is Blueberries for Sal! I will have to look up the rest! I am such a children’s book addict that my son’s nursery theme was children’s lit , full of Babar, Eric Carle , Madeline and more. One of the best gifts my mom ever gave me was a stack of books from my childhood. I remember thinking I could “read” Little Bunny Follows His Nose, as it was read to me so many times. 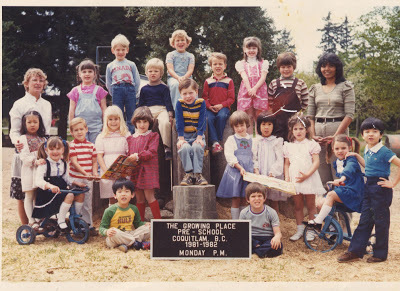 I also loved Richard Scarry – especially Cars and Trucks and Things that Go. Richard Scary and Mercer Mayer and the Little House books. One of my very favorites was Never Tease a Weasel and I just found it in a thrift store this week with the original picture on the cover! I am off to search for Never Tease a Weasel, that sounds very familiar! I’m loving reading through your site! My grandmother had a huge collection of Thornton Burgess books and she’d read them to us when we visited. I still love to read through them. Richard Scarry was also a big favorite. And we had lots and lots of Dr. Suess books. One of my childhood favorites is “The Bedspread” by Sylvia Fair. Two bedridden elderly sisters set out to decorate their bedspread (They of course share an enormous bed, one at each end.) They decide to embroider their childhood home so that both ends of the spread “match” each other. As the reader soon finds out, however, the two ends are not symmetrical… one sister practices her stiches neatly, and the other appliques happy memories. Love it! 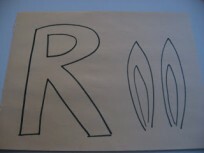 .-= Laurie´s last blog ..Robbie Fix =-. Great picks! My favourites were “In A People House” and the “Little House on the Prairie” series. My husbands was “The Digging-est Dog” (you gotta read this!) and “Mike Mulligan & His Steamshovel”. .-= Sarah @ Mum In Bloom´s last blog ..Recipe- Curried Tomatoe Bouillabaisse =-.